After having obtained her Diploma of Musical Studies in the “Music Conservatory of Toulouse”, in 2008 Katia Viel joined the High School of Music of Genève enrolled in the class of Patrick Genet, and simultaneously the class of Florence Malgoire. 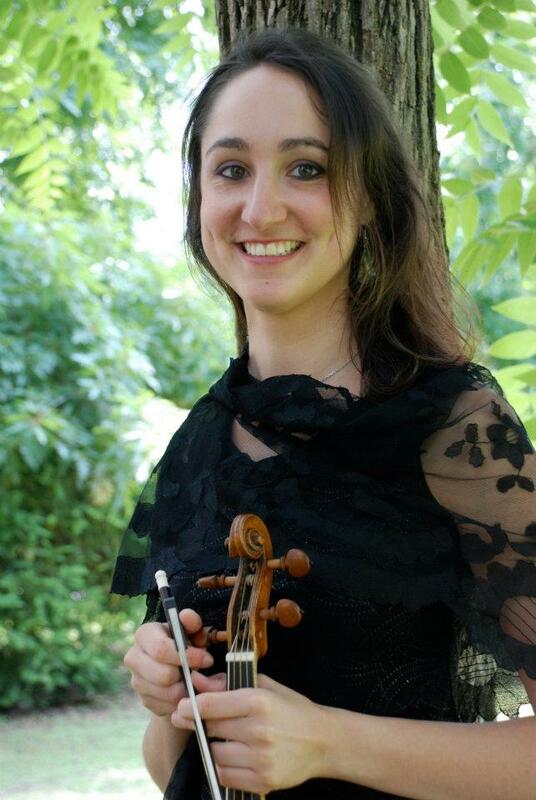 This three years of study was further enriched by an Erasmus exchange in Brussels, where Katia obtained her Bachelor Diploma for Modern violin. Throughout this time she was continuously encountering the world of old music. This lead her to begin a Master of Baroque violin with Amandine Beyer in September 2012, at the Schola Cantorum of Basel where she also started to play baroque viola with great pleasure. Throughout her studies Katia was able to particpiate in several musical projects with conductors including T. Koopman, H. Niquet, L. Garcia Alarcon, P. Herreweghe, K. Benzouidenhout, P. Agnew, M. Glodeanu, L. Fleisher. In October 2011, she took part in the “Académie baroque européenne d’Ambronay” performing Bach’s B Minor Mass, conducted by S. Kuijken. In 2012, she participate to the “Academia Giovanile Montis Regalis” as 1st violin solo and played under the direction of E. Onofri, A. Beyer, O. Centurioni, L. Mangiocavallo and P. Maxim. In January 2013, she was invited by the “Scuola Civica Orchestra” of Milano to play violin solo with Marcello Gatti as conductor. She has performed with ensembles including “Ensemble Elyma” (dir. G. Garrido), la Chapelle Rhénane (dir. B. Haller), “Orchestra della Montis Regalis” (dir. G. Tabacco), the Chamber Orchestra of Toulouse (dir. G. Coillard).